Miracle Pottery has been inspired to created Votive Candle Holders. 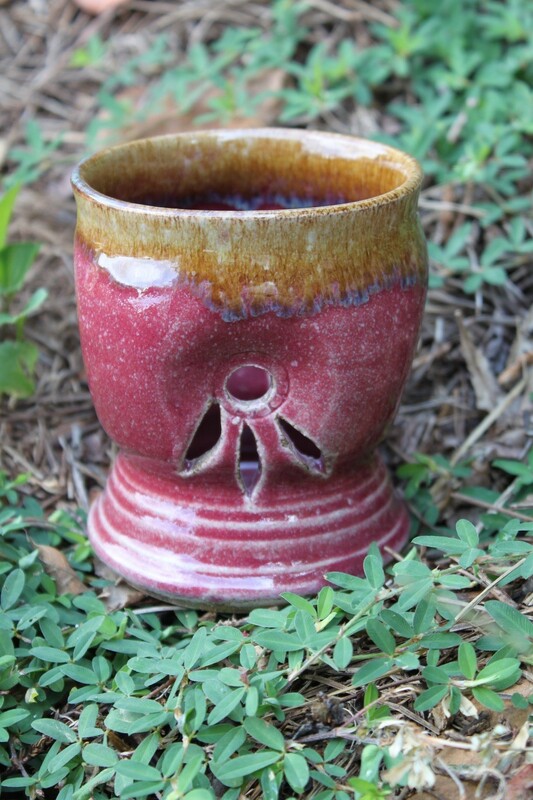 They feature our original glaze patterns and are designed to hold a votive size candle. We offer them in a variety of glaze patterns. Makes a wonderful gift any time of year. Each Candle Holder stands about 4 1/2 inches high. All Miracle Pottery is signed first with a cross in thanks to our Lord. It is also a prayer that the receiver be forever Blessed.